You are totally awesome, Jo! I have an uncle that died of a brain tumor several years ago, so I know how important this is. I’m going to try and bid on a few items when the auction opens. Good luck and thanks for doing this! Namaste, Jo! Let’s Do This! Congratulations and kudos to Jared and Jo for amassing an amazing collection of LOST auction items- there are items here for every type of LOST fan and collector. I can guarantee, personally, that I, and a few of my iconic prop collector rivals, will, no doubt, be engaged in a battle of good and evil over a number of the screen used items from the Island. And by virtue of that, everyone will be a winner! And thanks to all of the cast, crew, and private collectors who contributed as well. 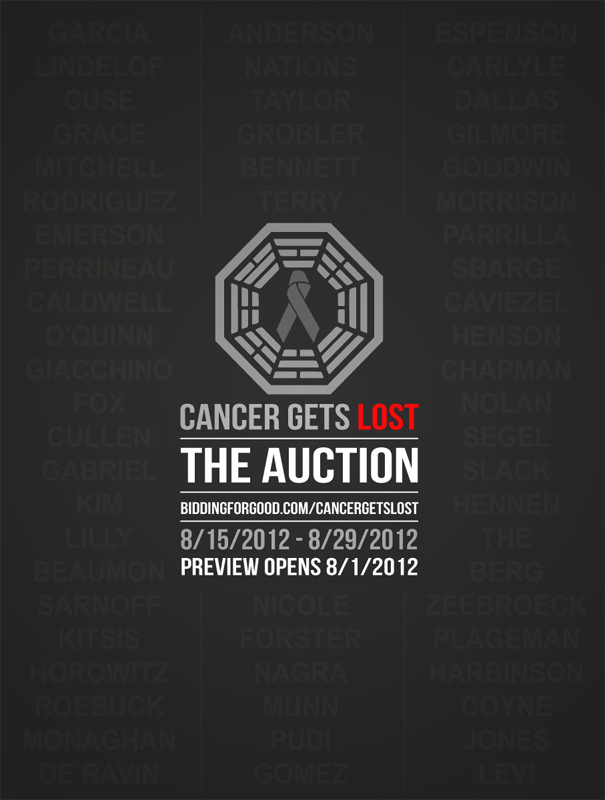 It is a good thing being done here and I hope and expect a tremendously successful LOST auction.